Stackhouse Knives is exhibiting at the Sika Show! The annual Sika Show & Competition is the largest outdoor trade show of its kind in New Zealand. More than 5000 hunters visit the show each year for the competitions, taxidermy, and the latest innovations in hunting and outdoor-related products and services. The Stackhouse Knives team will have a selection of hunting, bird and trout knives available for sale. We'll be taking custom orders for Christmas and registrations of interest for our knife making, Damascus steel and blacksmithing classes. 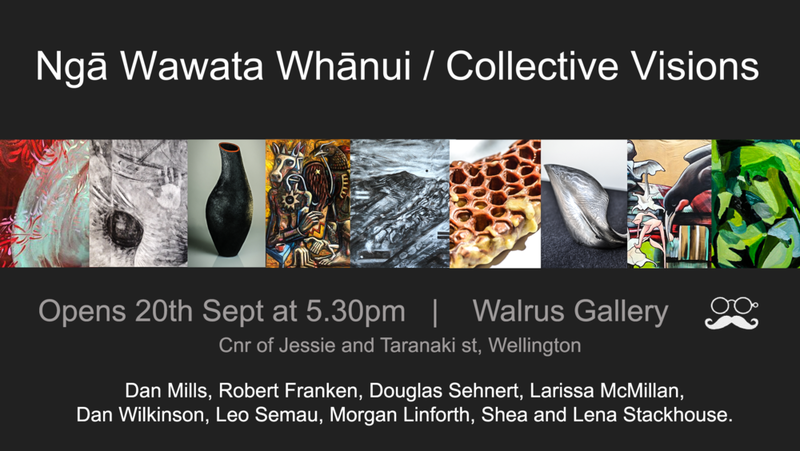 A group exhibition of Wellington artists hosted by . Featuring the work of Robert Franken, Dan Mills, Dan Wilkinson, Doug Sehnert, Larissa McMillan, Leo Semau, Morgan Linforth, Shea and Lena Stackhouse. Charity Auction - Love (Art) for Life auctions! 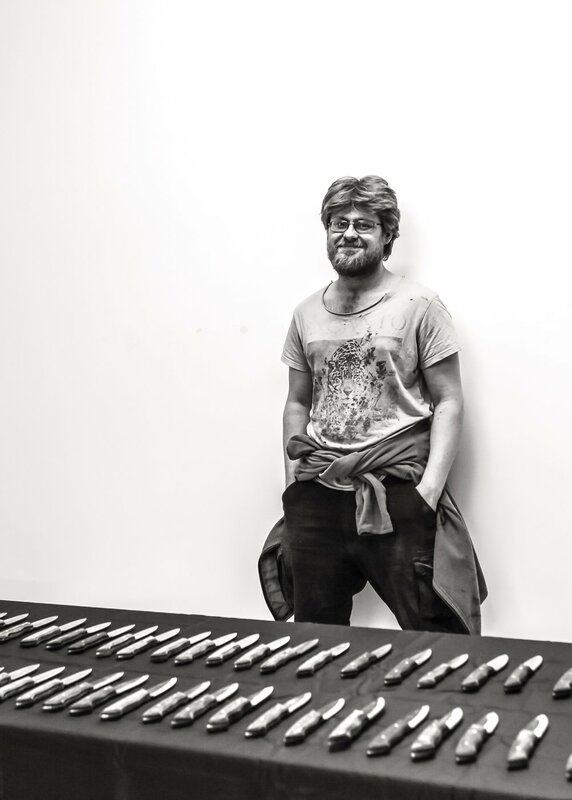 This September we had the opportunity to be a part of a great cause, Love (Art) for Life Charity Auctions - hosted by Vaune Mason, we donated art work along with many other local wellington artists and together we raised a total of $6000 dollars! all the proceeds will be going to aid the syrian refugees. In May we joined the team at useful media production to help bring to life 'Judgement Tavern'. Shea made 3 gorgeous swords for the movie while i decorated a sickle and helped out in the art department bringing the tavern and some crazy chandeliers to life. The art film was written, directed and produced by Korina as part of her 2014 final year film project at EIT. Lena plays a Marionette, cut from her strings, who must battle the trials of an alternate reality and ultimately free herself. The film’s ‘Hero’ weapon features one of Shea's knives, with a custom made steampunk handle. Visit Korina's artist page DollyMonsta to see more of her creations , including her amazing pencil drawings. We look forward to collaborating with her more in the future! We won best film for EIT's screen production class of 2014!